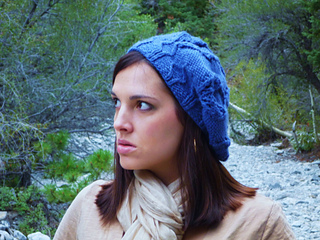 Inspired by the French vintage, this slightly slouchy beret combines naivety and refinement with simple lattice cables that evolve into leaves which transform toward diminishing twists. It is eye-catching and encapsulates a uniqueness that is complete perfection wrapped up as a hat. 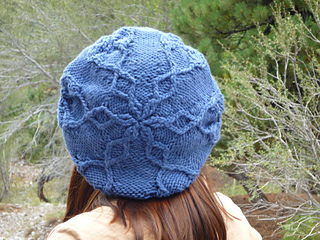 There are two ways to purchase this pattern, for personal use or for seller’s use. If you buy the personal pattern, you may only knit from the pattern for yourself or for gift giving. If you buy the seller pattern, it allows you to sell an unlimited number of finished products. This is lifetime license with no sample knitting required. I ask that credit be given and that you provide a link from your listings to my etsy, HC and Ravelry pattern store. I will provide you with the links and exact wording. Additionally, I will link to your shop information from my stores – perhaps you’ll get some extra business! Are you interested in selling, but want to see the pattern first? You may purchase the personal version and if you decide to sell, I’ll refund you the difference! If you would like to purchase the seller pattern, please contact me for an invoice or visit Natalie Larson Designs.